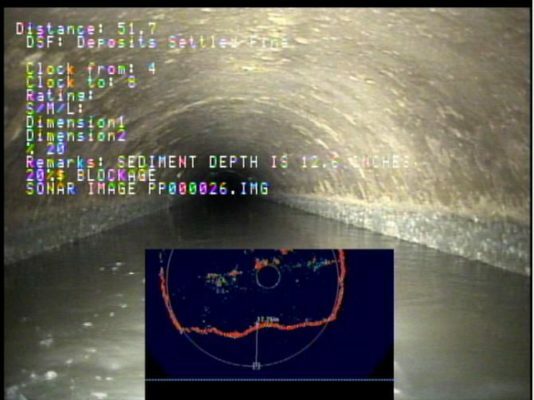 TISCIT (Totally Integrated Sonar and Camera Inspection Technique) technology utilizes sonar and CCTV technologies together to create a unique and valuable inspection. 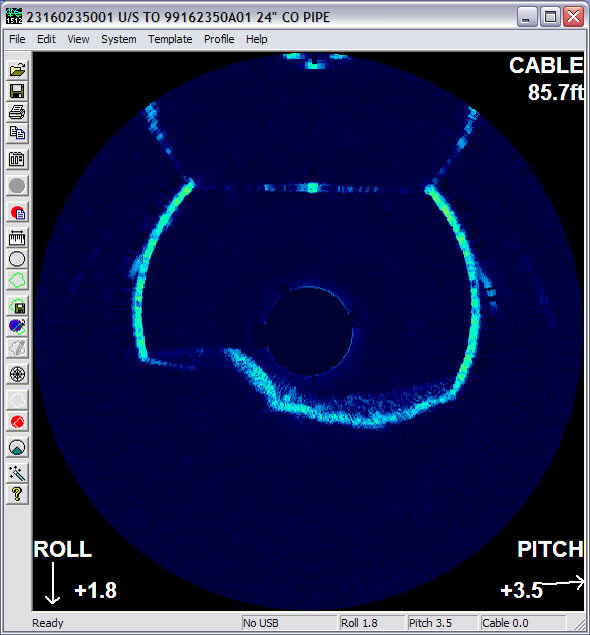 CES’s sonar sediment report is an invaluable tool that graphs the results of the TISCIT inspection, so you know the exact amount and location of deposits in your pipeline. 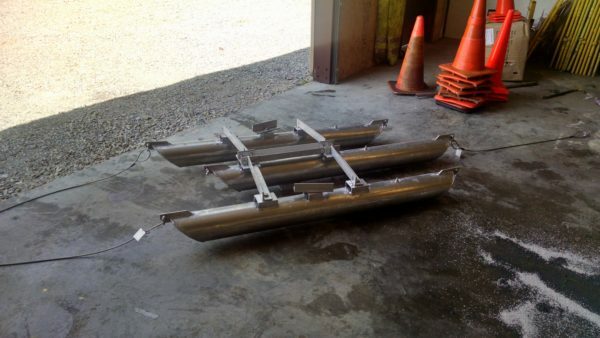 This also allows us to compute the amount of capacity reclaimed by cleaning the line. TISCIT Inspections can also mitigate the need for bypass pumping. 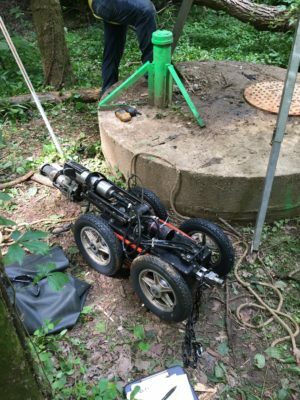 CES’s skilled crews use both steerable crawlers and float systems depending on pipe segment conditions. We are also able to provide TISCIT inspections to you regardless of the location of your manholes.